Style and Elegance, that is what the top is all about. 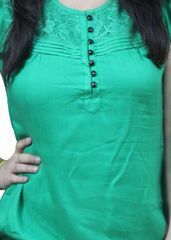 This short sleeves round neck top with front closure button has net on front yoke, tuks on front ypoke with elastic on sleeves bottomand waist bottom. 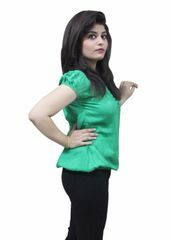 Team it with nice fitted jeans for a super cool casual look or with nice pleated formal pant for a crisp formal look.